You know how sports teams have ‘rebuilding years’? I think people should be allowed those too. 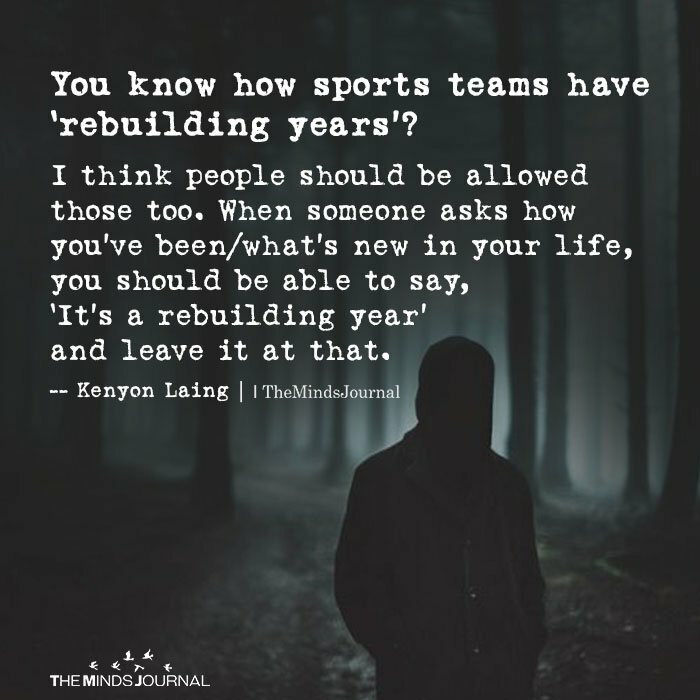 When someone asks how you’ve been/what’s new in your life, you should be able to say, ‘It’s a rebuilding year’ and leave it at that.